Kevin McCann is a Project Manager at peacebuilding NGO Peace Direct, where he runs Insight on Conflict. He has just returned from Burundi. More than a thousand people have been killed since violence began in Burundi a year ago – but local peace organisations are refusing to let the country slide into war. EU foreign affairs chief Federica Mogherini has called on Burundi’s government and opposition to meet outside the strife-torn country in a bid to stop a succession of killings and massive displacement. Burundi relies on the EU for half of its budget, leading to Europe imposing sanctions in March, under the Cotonou Agreement. The worst violence so far took place in December 2015. 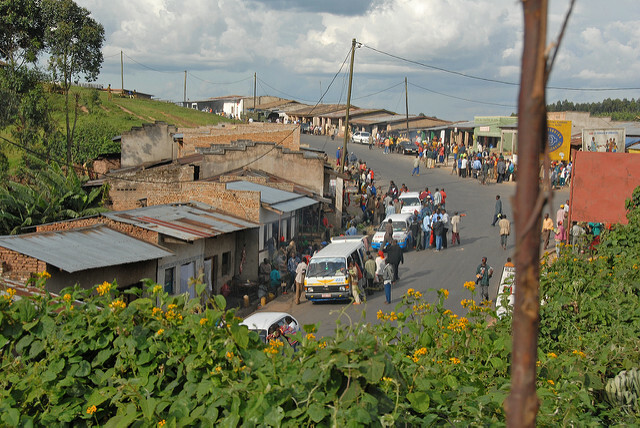 More than a hundred people died in armed attacks around the capital, Bujumbura, and the fighting that followed. 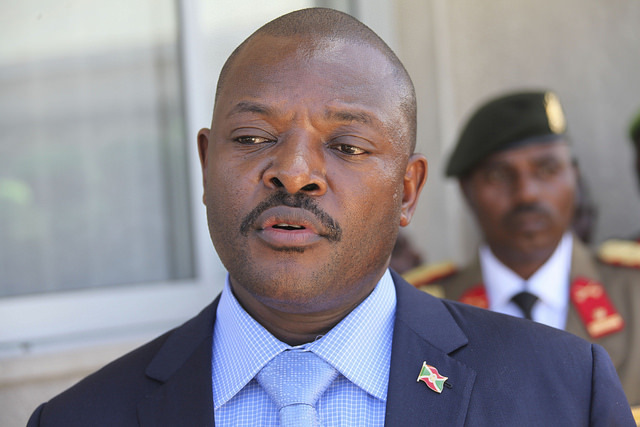 With the Burundian civil war still fresh in people’s minds (it officially ended in 2005), events such as these have increased fears of a return to prolonged armed conflict. 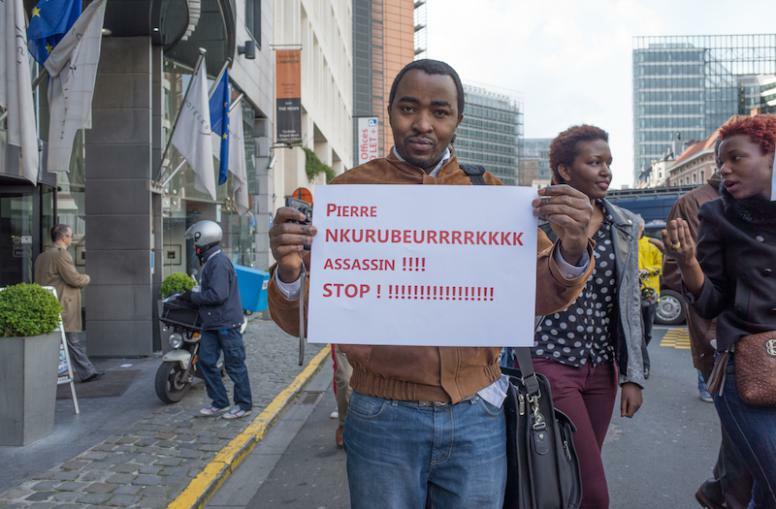 But as the international presence dwindles, Burundians are redoubling their efforts to stop a return to war. Some of them work for Peace Direct’s local partner organisation, a violence monitoring and response network. We caught up with them in Bujumbura in March. At 8AM on a Monday morning, our host, Fabrice, shows us straight to the meeting room. The network’s central staff run what could almost be described as a small news agency, with volunteer ‘citizen reporters’ reporting from around the country on outbreaks of violence in their area. The network has doubled in size in just three months, and now covers the entire country. As we work with the team over the week, it occurs to me that I would be surprised if anything happened in Burundi without them knowing about it. Having driven past the burnt-out offices of the main national radio stations – the usual source of information in the country – the situation reports the network provide are a priceless source of information that only local people can access. Testament to the quality of the information are the continuing requests we receive from people who want to read the reports; probably half the UN is on our mailing list. The citizen reporters have received training on how to assess and report information, which they send using a mobile text messaging system. Fabrice and the team cross-check and verify the incident reports. It’s risky work, so they take precautions. The operation is building a picture of violent hotspots around the country. With international reporting capacity generally limited to the capital, it provides an almost unique source of countrywide intelligence, which is why the UN is so keen to receive it. Indeed, the whole project is testament to how a local network can penetrate much deeper into society than outsiders. The citizen reporters all live in the areas they report on, and are respected in their communities for their neutrality. This is vitally important in a conflict which is as much about politics as anything else. This is meant as a generic term for human rights groups, and it’s clearly intended as a threat – one that prevents people from trying to find out what has happened to their friends and family. This is where the citizen reporters help. Between them, the network coordinates nearly 200 Citizen Reporters around the country – reporting on and responding to violence. The European Union, strife-torn Burundi’s biggest aid donor, on Monday suspended all direct funding to the government for failing to meet EU concerns over its human rights record. It’s an extremely worrying situation. But as we know at Peace Direct, bottom-up initiatives can help solve top-down political problems – building trust from the ground up. It’s why we support them. With the EU’s spokesperson recently noting the need for all stakeholders to take part in an internationally-mediated political dialogue, we hope others will support them too. Names and other details have been changed in order to preserve anonymity. This is an edited version of an article first published by Peace Direct.